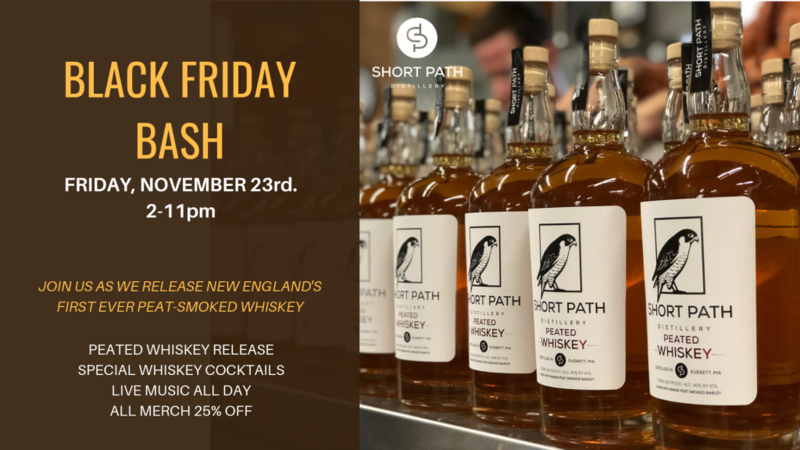 Join us as we release Peated Whiskey, New England’s first peat-smoked whiskey made with native peat and Maine oak barrels. The semi-sweet backbone comes from a 100% malted barley and is enhanced by hand-cut peat from Maine to add an earthy nose, a rich body with hints of salt air, and a pleasant, wood-smoke finish. The event will feature special Peated Whiskey cocktails, bottles available for purchase, 25% off all merchandise, and live music all day.